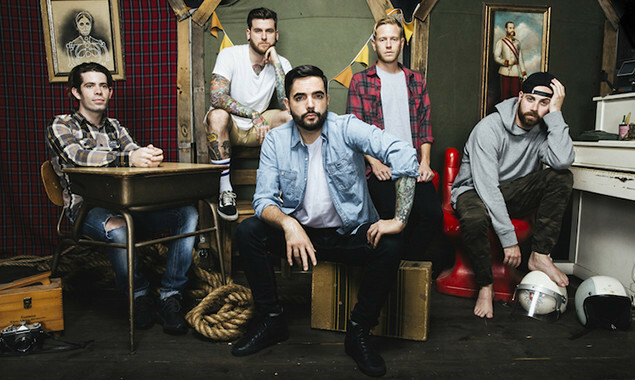 A Day To Remember's new album 'Bad Vibrations' was a tough one - especially for frontman Jeremy McKinnon. In the band's Rock Sound feature this month, he opens up about his struggle and how the band went back to basics to create their rawest new material in years. Here's a taste of Jeremy's interview. "Honestly? I was terrified," Jeremy admits, laughing nervously. When the time came to record A Day To Remember’s sixth album (the follow-up to 2013’s triumphant ‘Common Courtesy’) the usually self-assured vocalist found himself scraping for inspiration. Coming up almost empty-handed, he turned to his bandmates for help. “I went in to record with nothing much to offer, hardly anything that I was excited about,” Jeremy remembers. 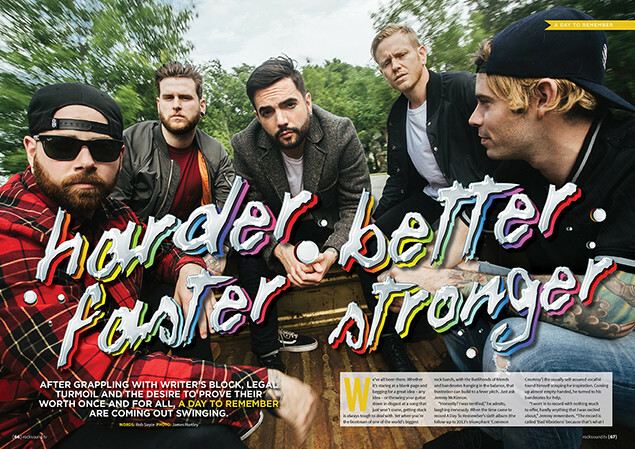 Of course, A Day To Remember are no strangers to adversity. Since muscling their way out of Ocala, Florida in the mid-noughties, the five piece – completed by guitarists Neil Westfall and Kevin Skaff, bassist Josh Woodard and drummer Alex Shelnutt – have had to contend with everything from sneering critics to drawn-out legal battles. Faced with a dearth of viable new songs, they cast their minds back to the looser, more collaborative approach that’d carried them through their early years. It was time to go back to basics, with producers Jason Livermore and Bill Stevenson (Descendents, Rise Against) in tow. “We needed to just get into a room, and feel like a real band again,” Jeremy considers. “That’s exactly what we did at The Blasting Room [Livermore and Stevenson’s studio, in Colorado]. It’s easy to get lost in certain ways of doing things, and sometimes that can alienate people.